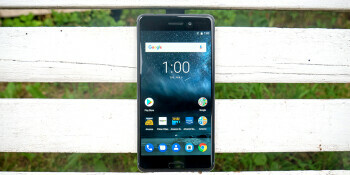 For those of you who happens to be a big fan of the new HMDs Nokia android smartphones but are not into the mid range devices like the Nokia 6 due to its non powerful chipset, you have nothing to worry about as report has it that Nokia is currently working on a more powerful successor to the Nokia 6. According to latest report, the successor of the Nokia 6 is expected to feature a much more powerful Qualcomm Snapdragon 660 chipset which comprises 4x Kryo 260 cores running at 2.2GHz and another cluster of four Kryo 260s running at 1.8GHz in big. Another advantage of the Snapdragon 660 over the Snapdragon 430 on the current Nokia 6 is that it's build on a 12nm manufacturing process compared to the 28nm on the SD 430 which ensures more power efficiency and a longer battery life. The upcoming Nokia 8 is expected to launch by mid January of next year with a 4GB RAM and a 32GB internal storage. In terms of price, we don't have any information on what the starting price will be but we will update you as we get more information.